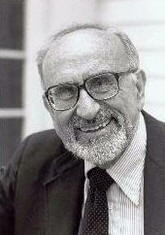 December 29, 2010 – Alfred E. Kahn “Father of Airline Deregulation," died of cancer on Monday at the age of 93. Kahn was an American professor, an expert in regulation and deregulation, and an important influence in the deregulation of the airline and energy industries during the late 1970’s. Kahn, (October 17, 1917 - December 27, 2010), was commonly known as the "Father of Airline Deregulation," he chaired the Civil Aeronautics Board during the period when it ended its regulation of the airline industry, paving the way for low-cost airlines, from People Express to Southwest Airlines. He was the Robert Julius Thorne Professor Emeritus of Political Economy at Cornell University, Ithaca, New York. Generally considered a liberal Democrat, Kahn’s strong advocacy of deregulation stemmed largely from his understanding as an economist of marginal-cost theory. In his time at the New York Public Service Commission he was instrumental in using marginal costs to help price electricity and telecommunications services; this was novel at the time but is routinely performed today. While serving as Chairman of the Civil Aeronautics Board (CAB), which regulated commercial airline fares, in 1977-1978, Kahn (a self-described "good liberal Democrat") oversaw the deregulation of commercial air fares. As one analyst put it, Kahn "set to work with other progressives" including Senator Edward Kennedy, future Supreme Court Justice Stephen Breyer, and consumer advocate Ralph Nader to "dismantle anti-consumer cartels that had been sustained by government regulation." He has consistently argued that, where feasible, complete deregulation is preferable to partial deregulation. “The verdict of the great majority of economists would, I believe, be that deregulation has been a success, bearing in mind, as always, the central argument that society’s choices are always between or among imperfect systems, but that, wherever it seems likely to be effective, even very imperfect competition is preferable to regulation. Recent experience clearly suggests, instead, that the mixed system may be the worst of both possible worlds." In an interview with USA Today, he said that he wished that he could have deregulated the telecommunications industry. He has served as an expert witness in many regulatory matters, particularly in issues regarding flat rate pricing for telecommunications, marginal costing in both telecommunications and electricity, and net neutrality. Kahn has authored numerous books, including The Economics of Regulation: Principles and Institutions, Lessons from Deregulation: Telecommunications and Airlines After the Crunch, Whom the Gods Would Destroy, or How Not to Deregulate, Letting Go: Deregulating the Process of Deregulation, and Great Britain in the World Economy. Kahn also authored many articles, and was for many years a commentator on PBS’s The Nightly Business Report. The Airline Deregulation Act is a United States federal law signed into law on October 24, 1978. The main purpose of the act was to remove government control over fares, routes and market entry (of new airlines) from commercial aviation. The Civil Aeronautics Board's powers of regulation were to be phased out, eventually allowing passengers to be exposed to market forces in the airline industry. The Act, however, did not remove or diminish the FAA's regulatory powers over all aspects of airline safety. A major impact with the Airline Deregulation Act was the unwanted hostile takeovers and mergers. The move was on by many airlines to become giants in the industry. Either be taken over (see Frank Lorenzo) or take over other air carriers. Unions were being busted to cut personnel payrolls to increase profits. Non-union carriers like People Express triggered airfare wars which cost the airline industry close to 100 million dollars.